We gladly thank each and every one of you who have shared their valuable reviews and opinions on our Business listings at Yelp, Dentagama, Yellowpages, GCR, Facebook, and Google. It means the world to us when we are the reason for the smiles and satisfaction on your faces. We hope to serve you even better as we move forward. For those of you who have had a bad experience with us and shared the same, your feedback has actually given us transparent knowledge and understanding on how we can avoid making the same mistakes again. We are extremely glad that you are a part of our life. This is the most AMAZING dentist office I have ever been to. To booking the appointment and being in the chair they took care of me and my anxiety. I have recommended them to so many people so far. Dr. Nibu took the time to get to know me and my needs when it came time to get the work done he made sure I was comfortable he put on a movie and gave me the laughing gas I have never been so comfortable at the dentist I actually almost fell asleep in the chair. Very professional team and they don’t try and push anything on you that you don’t want or need . Very good doctor and excellent service as well . Very good supporting crew as well. Dr.Nibu has very good knowledge and experience too with a very helpful nature. This is the best dental service i have ever had, it is fenominal. Dr.nibu and ajin and the staff are very friendly in both locations. I used to go to both locations for my daughters invisilighn and he gave us the best service. I recommend every friend to visit saphire dental clinic. They have very convenient locations one in thornhill and one in Richmond hill. Great dentist, last time I went I had my teeth fixed and dentist knew exactly what to do and was so kind. Dr. Nibu and his team are amazing. he is professional, knowledgeable and trustworthy. Myself and my family are all under his care and trust him 100%. Thank you Dr. Nibu and Dr. Ajin. The best!!! Super customer care, friendly ambiance and skilled professionals. Everything was wonderful from beginning to end. 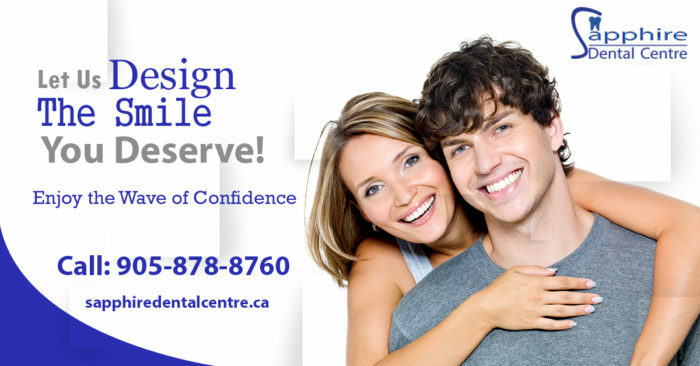 The staff is warm and welcoming, and the dentists are friendly and knowledgeable.